Garmin 76 | Another unbiased Garmin portable GPS review and more on marine electronics. The Garmin 76 has been around for several years and has a proven track record of reliability in the Garmin portable GPS lineup. Overall it is one of the larger handhelds we’ve tested, but we found it still fits well in one hand. It can be operated with the thumb of the holding hand without blocking the screen view. Eight clearly labeled pushbuttons and a single rocker key with up/down and left/right movement provide the means for operating this Garmin marine handheld. Five main pages link the user to the unit’s full functionality. The GPS Information page gives the user satellite status plus a myriad of other data some of which include date, time, and present position. Another main page lists the current selected waypoint plus a list of nearby waypoints with the distance to each, it’s called the Active Route page. Navigational pages consist of the Map, Pointer, and Highway pages. A variety of layouts and data box information can be selected on any of the navigation pages. We found the Pointer page especially useful when displaying the compass rose, the name of the current waypoint, and six user selectable data boxes. 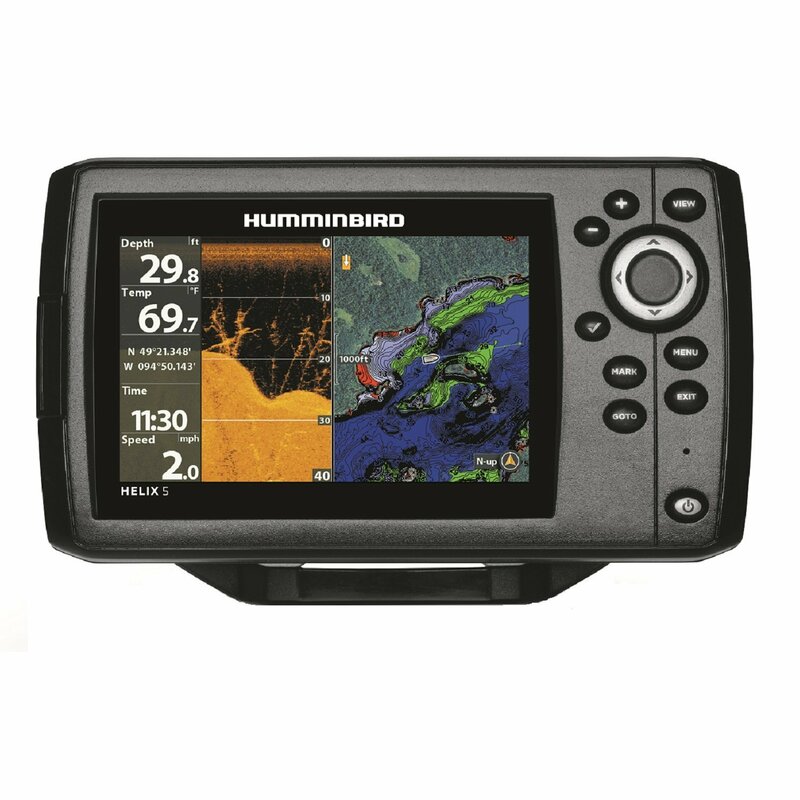 The Map page in this Garmin marine handheld does contain some useful marine data like buoy locations, light colors and sequences, and place names. Other information useful to the mariner are the solar and lunar tables, a best times to fish chart, and a graphical tide prediction table for a multitude of locations. Boasting a large, 2.9 inches on the diagonal, high resolution (180 x 240) screen the Garmin 76 has finely defined letters and numbers with clean edges even when displaying small fonts or curved lines. Viewability is very good under all conditions. All named pushbuttons are supplied with backlighting making them easy to read in the dark. A battery compartment on the case back holds the pair of AA batteries required for operation. With them install the unit weighs 7.5 ounces. A data port and the external antenna jack are also located on the back. This Garmin portable GPS will store up to 500 waypoints and 50 routes. Later versions of this venerable unit are still available today.